Stifling heat filled the New Bedford Courthouse in June of 1893. Spectators packed the seats eager to witness what would become one of the most famous trials in American history. As palm fans waved and journalists scribbled and lawyers sparred, a young woman sat at the defendant’s table. Lizzie Borden was composed as she awaited her fate wearing gloves and a flower. It was the events on another swelteringly hot day that brought Lizzie to trial. On August 4, 1892, in Fall River, Massachusetts, someone took a hatchet and murdered Abby Borden, Lizzie’s stepmother in the guest bedroom. They also murdered Lizzie’s father, Andrew Borden, while he was napping on the sofa. If it wasn’t the proverbial 40 and 41 whacks, it was still enough to turn the elderly couple into something disturbingly similar to mincemeat. Suspicion naturally fell on the only person who had both motive and opportunity – 31-year-old spinster Lizzie Borden. Housemaid Bridget Sullivan was also at the residence at the time of the murders, but her account of her morning activities was plausible. Lizzie’s story was a jumble of pears, fishing sinkers and improbable visits to the barn. In addition, there was known friction between Lizzie and Abby “She’s Not My Mother” Borden. 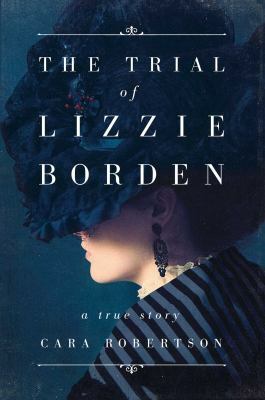 The Trial of Lizzie Borden by Cara Robertson delves into the minutiae of the sensational Gilded Age trial. Robertson includes fascinating details about the witnesses, the evidence and case law. 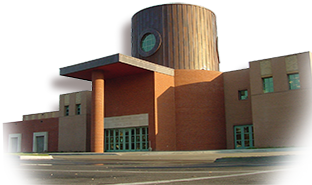 She draws upon court transcripts, local newspaper accounts and previously unpublished material. The trial comes alive with “hoodoo” hatchets, gruesome skulls and the inscrutability of Lizzie Borden. A lawyer herself, Robertson explains how the suppression of both Lizzie’s incriminating inquest testimony and her attempted purchase of a poison, prussic acid, were key factors in her acquittal. Oh such questions this book stirs up! For even more things Lizzie, read Sarah Schmidt’s deliciously atmospheric novel See What I Have Done. So much blood! So much rotten mutton! Watch the Borden biopic Lizzie starring Chloe Sevigny and Kristen Stewart. You’ll never think of housemaid Bridget the same way again. Posted in Books, Movies & Music and tagged Lizzie Borden. famous trials, Lost in the Stacks.